dress up the coat work and repair if required. which prevents water damaging the top courses." We use various styles of patterns which usually will depend on the property and what the customer desires. 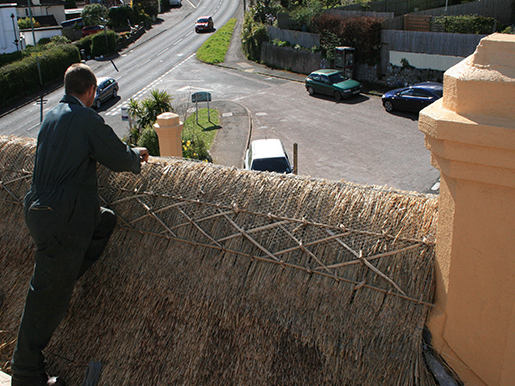 Straw block cut ridge or straw flush ridge are the two main ridging methods. Most ridges are made of combed wheat reed. Although Rye Straw, Sedge may be used.